Are we being visited by ETs? And if so…so what? I have been shown a vast amount of compelling evidence suggesting that UFOs of extraterrestrial origin (referred to by the military as AVCs — Alien Visitation Crafts, as opposed to ARVs — Alien Reproduction Vehicles, which are man-made advanced anti-gravity craft) exist and have been contacting and communicating with humans for many years — perhaps even centuries. This has huge implications. If other intelligent life is capable of getting here, then there must be ways to not only transcend space-time as we know it, but also to access energy in an abundant way that surpasses the capacity of any energy source currently employed on earth. It implies that we too could get off of fossil fuels, create more sustainable energy systems and go voyaging among the stars. Unfortunately, my research proves that the UFO phenomenon has been deliberately suppressed by world governments and military powers and in turn dismissed by the public due to ridicule and disinformation. When I explored the facts and distinguished between common myths, hard evidence, and speculation, I found fascinating, paradigm-shifting evidence and insight for the existence of advanced life beyond Planet Earth. It appears that we are not just members of the world, but of the cosmos, and that there is much to be learned from other-worldly civilizations. By simply looking at the numbers it seemed to me illogical and arrogant to assume that humans are the only intelligent life. Our sun is only one of about 400 billion stars in our galaxy, the Milky Way, which is approximately 100,000 light years in diameter. 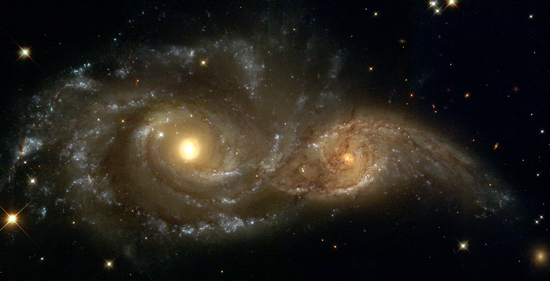 The Milky Way is only one galaxy among hundreds of billions in the recognized Universe. What are the odds we’re the only sentient beings? 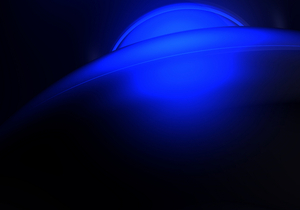 According to a poll conducted in 2007, roughly one-third of Americans believe in UFOs and 14% say they have seen a UFO. I was stunned to learn that governments, military officials, pilots, and astronauts are increasingly disclosing information about UFOs. On April 29–May 3, 2013 in Washington D.C., testimony was given before former members of Congress by researchers, activists, and political, military, and agency representatives from 10 different countries, compiling over 30 hours of testimony on evidence of extraterrestrial visitors in contact with life on earth. The UK Ministry of Defence has released hundreds of UFO files — with thousands of pages of documentation — for the public to see in its National Archives. France has also opened up more than 1,600 UFO cases to the public. And in 2004, Mexico’s Secretary of National Defense authorized the release of UFO video footage from a military aircraft. Steven Greer’s “Disclosure Project” has identified over 400 witnesses from the military and intelligence community — including the CIA, NSA, Air Force, Navy, Marines, and Army — who are willing to testify about their experiences with UFO and ET visitation. At the National Press Club on May 9 of 2001, many of these witnesses came forth and provided evidence to the media, asking the American Congress to officially investigate the subject and grant immunity to these witnesses. The issue has since been largely ignored and no further action has been taken by government. Astronaut Edgar Mitchell, the 6th person to walk on the moon, and Gordon Cooper, one of the seven original astronauts in Project Mercury, have both encountered UFOs and spoken out about their experiences. CNN — Larry King Live — UFOs Are They For Real? Larry King interviews military officials, political figures, and UFO experts about some of the most remarkable UFO sightings. Multiple UFO’s were captured on video by Mexican pilots in 2004. Mexico’s Secretary of Defense authorized the release of this video footage. In 1997 thousands of people in Arizona reported seeing mysterious lights over Phoenix. No official explanation was ever given. It’s one of the biggest UFO sightings in history. UFOs are not only a recent phenomena. 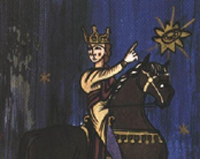 They have been reported and recorded throughout history. 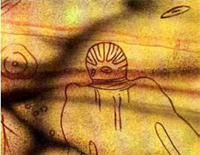 Even cave drawings dating back thousands of years depict alien-like figures and flying objects in the sky. 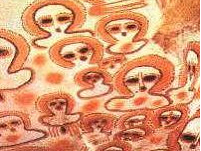 This is just a small sampling of UFOs in ancient art. There is some controversy around these images. Of course we can’t know the original experience of the artists, however, the vast number of similar looking alien-figures that appear all around the world, begs the question…could they be ancient alien visitors? I became convinced by mountains of reputable testimony that the U.S. government is suppressing critical data about UFOs and ET contact, even as other governments around the world are disclosing more and more information. The American government covers up evidence by denying eyewitness accounts, confiscating military records and video footage, and suppressing information from people who claim to have direct contact with ETs. Steven Greer, director of the Disclosure Project, suggests that suppression of UFOs is also tied to the oil industry. Because UFOs don’t rely on fossil fuels, the knowledge their capabilities point to threatens to put the oil industry out of business. If people don’t see compelling pictures or videos of UFOs, then it’s harder to believe. The government knows this, and they have been confiscating important UFO documentation for years. Some people claim to have direct contact with ETs. Among them are James Gilliland and Lane Andrews, who both had similar, but separate, experiences with ETs. Gilliland and Andrews have been repeatedly harassed by government agencies and closely followed. Gilliland is the founder of the Enlightened Contact with Extraterrestrial Intelligence (ECETI) organization. For years, he has invited others to his 70-acre retreat in Trout Lake, Washington to witness UFOs where sightings happen frequently. The sightings are documented on his website. Lane Andrews reports being taken on an ET spacecraft. After the experience she produced very complex drawings of the ship and described that it was propelled by a colorful energy field in the shape of a torus. Could UFOs be sharing key information with us through crop circles? I have been deeply moved by the phenomenon of so-called “crop circles” that have been appearing with greater frequency all over the world for the last twenty years. They are most often found in England near sacred ancient sites but they have also appeared in such countries as the US, Canada, Japan, Australia, Germany, Italy, Belgium, Holland, Russia, and Israel. The plants are bent in some peculiar way at a 45–90 degree angle at the node junction near the base of the stalk in a spiraling pattern in such a way that they stay alive. Plants within crop circles have longer nodes than those in undisturbed surrounding crops. Reproductive capacities of plants in crop circles are severely altered. Immature crops will often be incapable of producing seeds or produce stunted seedlings while mature crops will often experience a significant increase in growth-rates. Holes are often blown out of nodes on crop circle plants, also referred to as expulsion cavities. This has only been replicated in a lab by heating plants up in a commercial microwave for 20–30 seconds. Many people report malfunctioning of electrical equipment within or around crop circles including photographers, pilots, and nearby residents. It has even been reported that cell phones will sometimes stop functioning within the boundaries of crop circles and work perfectly just outside of them. This suggests that crop circles may be produced by electromagnetic radiation that leaves behind concentrated energy fields. I believe many of these crop circles may well be communications from advanced civilizations from beyond our planet, who are contacting us with key information about the way energy works in the universe. What more important message could we receive as pollute the air we breathe, fight to take the oil under other people’s land and risk nuclear annihilation of life as we know it on this planet. There is even high level testimony that UFOs are helping protect ourselves from the dangers of our own nuclear weapons. The fundamental patterns of the torus and the vector equilibrium, the shapes of the primary flow and structure of energy show up in hundreds of crop circles. Could they be showing us a way to access clean, abundant energy? A key to traveling through space-time? The entities responsible for the genuine patterns are sometimes even more explicit in their communication. In 2001 a crop circle showed up next to the Chilbolton Radio Telescope in England. It appeared to be a response to a transmission message sent out from the Arecibo Radio Telescope in Puerto Rico in 1974. 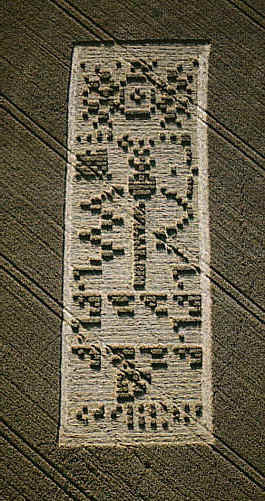 The original message sent from Earth described basic human features such as our number system, important biological elements, DNA structure, shape of the human figure, world population, location of Earth within our solar system, and an image of the Arecibo dish transmitter that was used to send it into space. 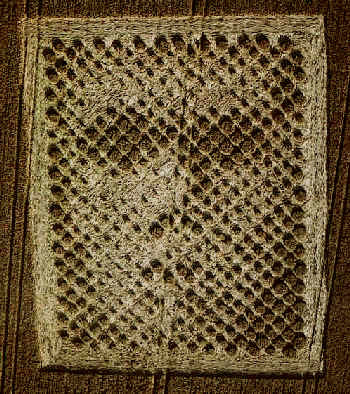 Crop circles in 2001 appeared to be a response — using the same code, they depicted aliens with larger heads, a different DNA structure, and other relevant information. Full disclosure of the ET and UFO phenomena could dramatically transform the quality of life on this planet. It has the potential to alleviate poverty worldwide, by allowing for new energy technologies to emerge, and shifting geo-political power on a massive scale. Right now multiple industries have a vested interest in maintaining secrecy and suppressing UFO evidence — particularly oil, gas, and coal companies. However, if we can expose the suppression, reveal the truth about ET visitation, and further develop new energy technologies that ETs apparently rely on, then we can decentralize power and make massive strides toward a thriving future. When Disclosure Serves Secrecy by Steven Greer, M.D.